If you were to read a book about making compost, it all sounds very technical, complicated and the average person would be put off giving it a go. It has to be easy or we won’t do it. There is no doubt that turning our garden and kitchen waste into compost is the right thing to do for the planet and our own immediate surroundings, as well as feeding and conditioning our garden soil. So how to make the process easy? A balanced diet is the answer. To much of one thing and the heap will be either too dry or too wet and smelly. You need a good mix of ‘wet and dry’ material, or carbon and nitrogen. Basically though, I just throw in the bin the green waste as I get it. By that I mean, kitchen waste (uncooked) goes in each day and at weekends when I do a bit of gardening, I throw in the weeds and some prunings (chopped up a bit). If I put in grass clippings, then I mix them with peastraw to dry them out otherwise the grass will go sludgy and smelly. Now you have all the ingredients in there, the key is in the turning. This means digging it out of bin 1 into bin 2. You can turn it after two weeks or two months, or leave it a lot longer if you want to but it will take a lot longer to break down. The sooner you turn it, the sooner you have compost to use. Add water to keep the mix well moist as a dry mix won’t rot. Turn it three times and its done. Each time its turned, it puts fresh oxygen into the mix and this cranks up the decomposing process. So now you have the basics, get composting, your garden will reward you for it. 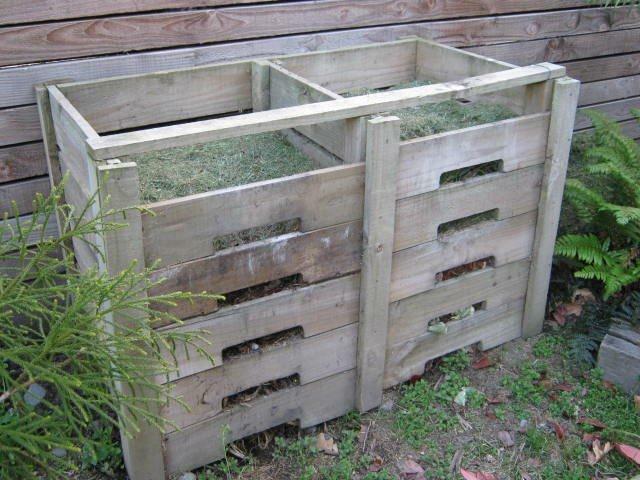 This entry was posted in Summer, Vegetables and tagged easy compost making. Bookmark the permalink.